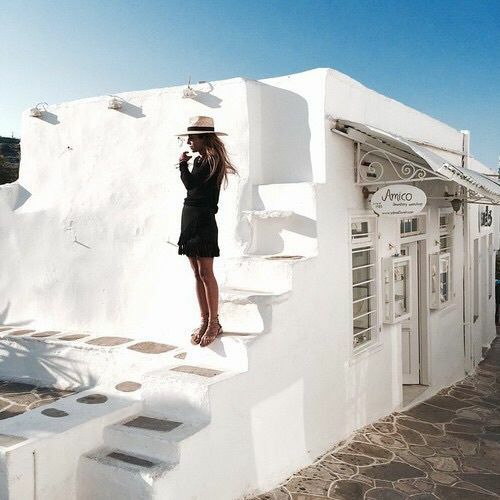 When it comes to Grecian outdoor inspo, the Greeks seem to have the al fresco lifestyle all figured out. 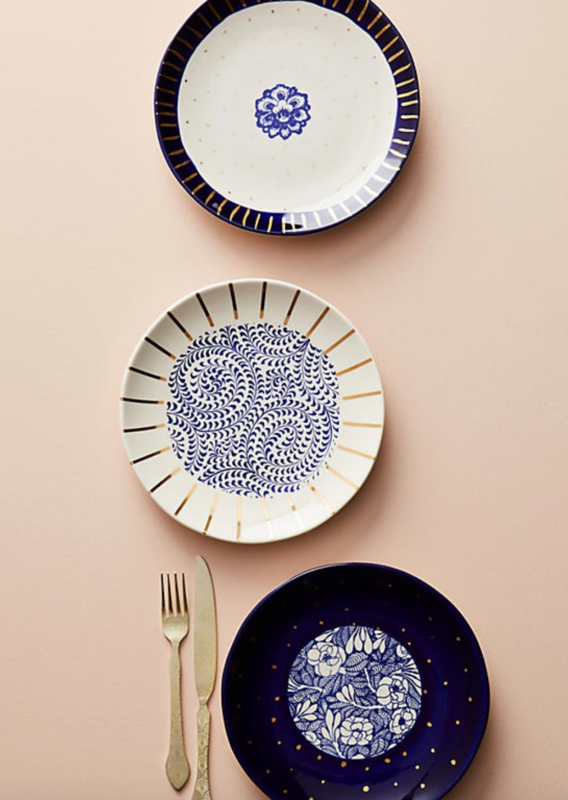 Bright whites, shades of blue, and beautifully patterned ceramics are the total Summer mood at KF. Natural textures create stunning and serene outdoor spaces for al fresco dining and lounging by the pool. 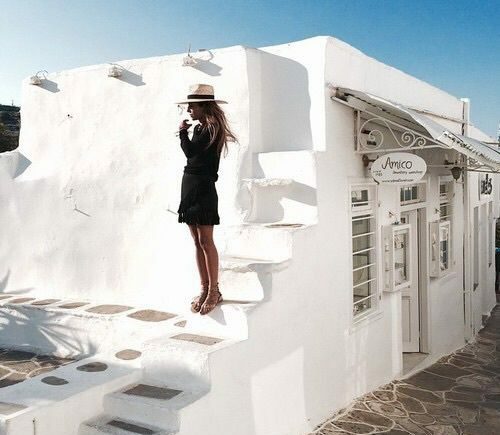 Since we can’t be in Greece all Summer, (in our dreams) we’re taking our imaginations and putting them to good use in our outdoor spaces at home. 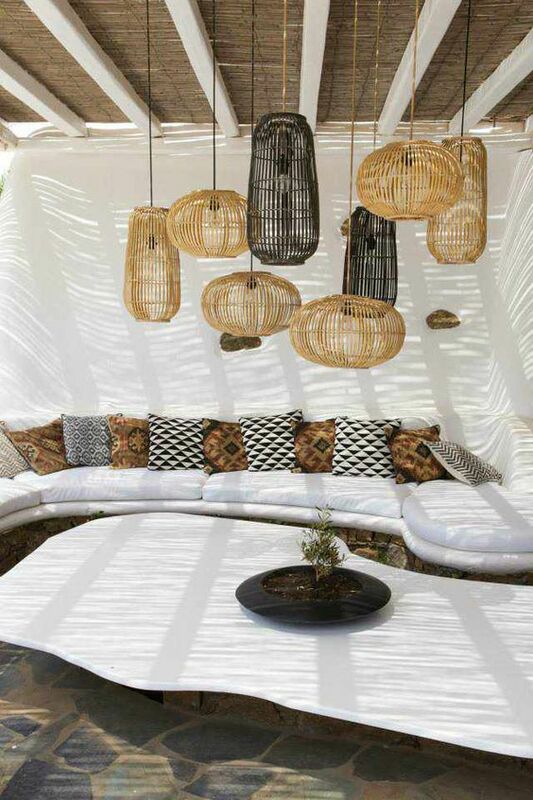 Take your outdoor space to the next level of Greek Isle chic with a few statement pieces to refine and round out your entire look. 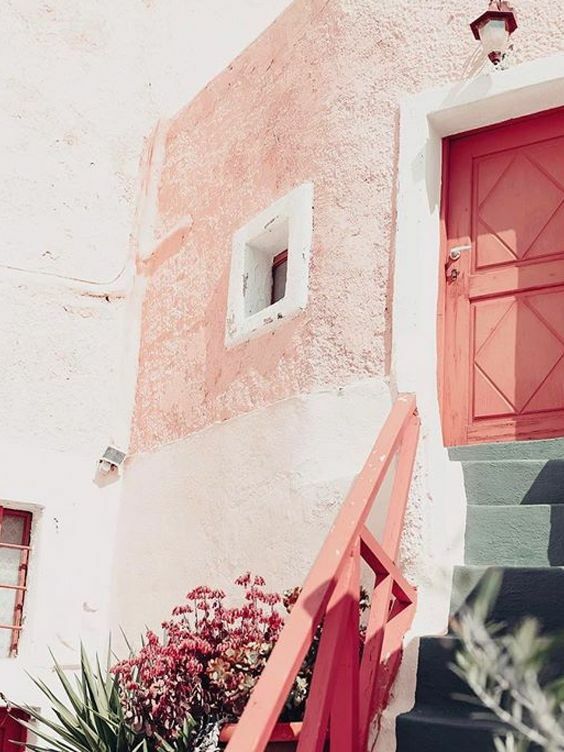 Shop the look and see our inspo picks below! 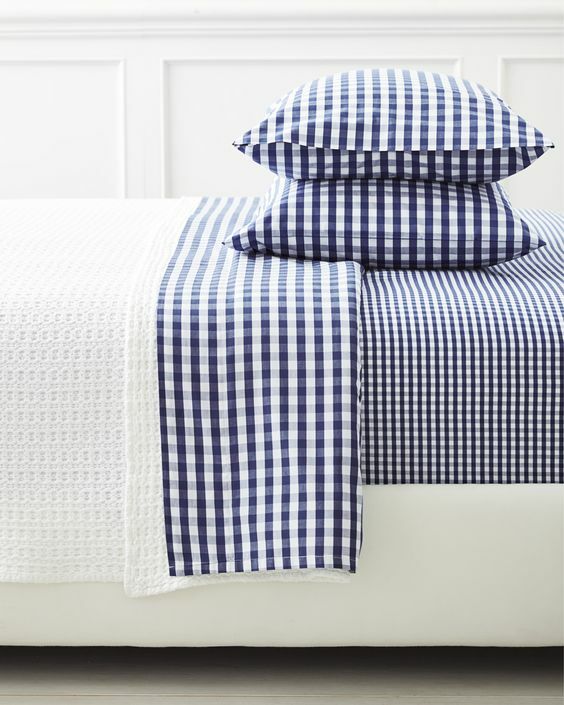 Blues on blues on blues (and whites) is the Greek vibe when it comes to home. Mix and match different hues of blue to bring together a relaxing and inviting atmosphere in your outdoor space. 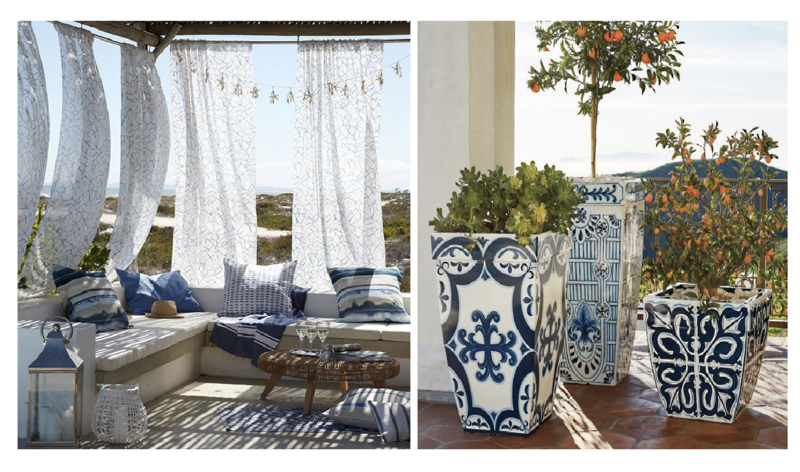 Ceramics are the perfect element to add to your outdoor area for a Grecian-inspired look. 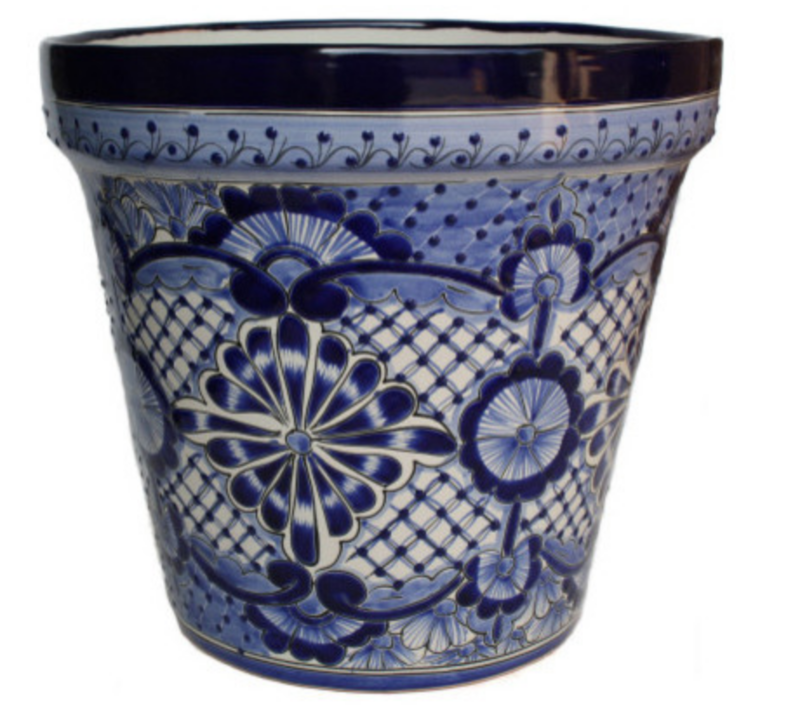 Hand painted planters make a great and classic addition that are truly striking and make a statement. Think relaxing and soft when you are looking for pieces to complete your outdoor look. 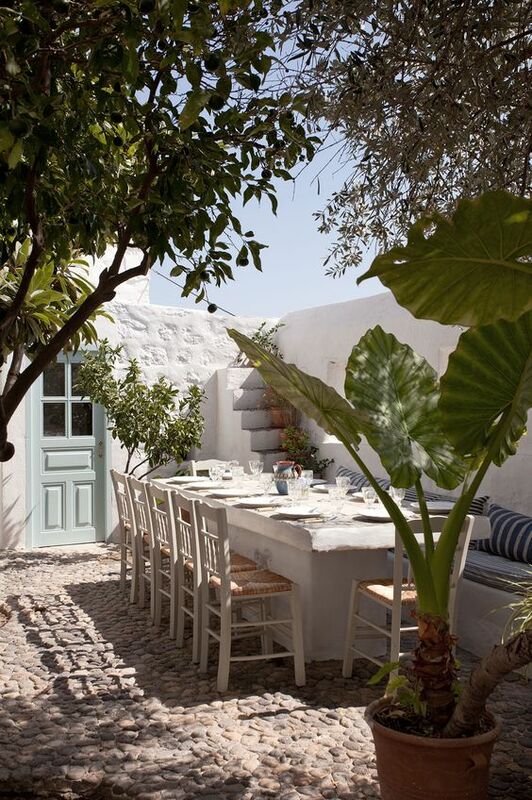 You want to feel comfortable and at home when you spend time outdoors, and blues and whites are the go to color scheme to inspire a Greek vibe. Get creative with your tableware and glassware for your outdoor space. It’s fun to have a few eccentric pieces to show off your style and personality, and always remember, it really is all in the details in any space! Cool, calm, and collected. This space speaks to us and inspires us. It makes us want to relax all weekend long. 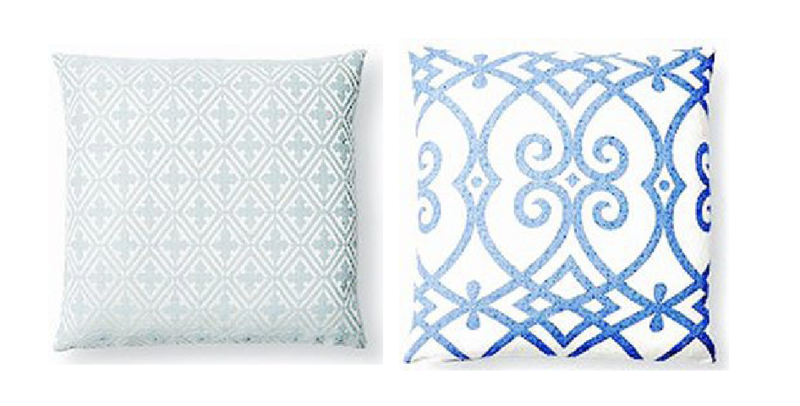 Add some impact by throwing in your favorite pair of KF pillows to style your seating area and add a touch of your personality to your space. 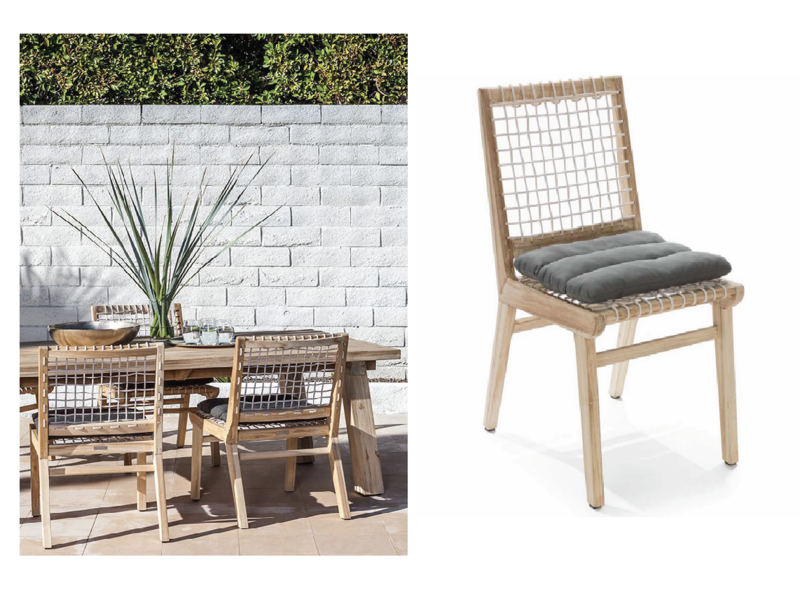 KF Insider tip: Search for those pieces that make a statement and aren’t on every other back patio you’ve seen before. Look for great finds that speak to you and elevate your space. Great pieces take time to find, but are worth waiting for and investing in! Get creative with your lighting choices. 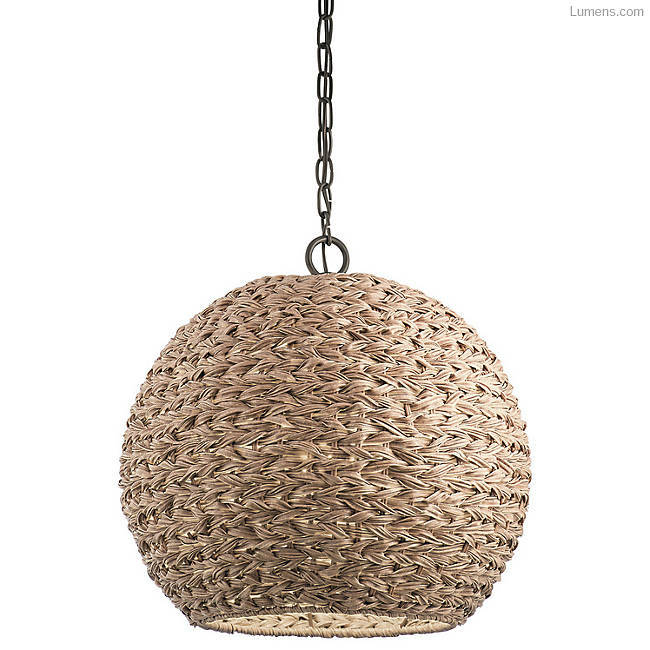 The Greeks love that relaxed look, and what says relaxation more than wicker chandeliers hanging from the ceiling. Definitely our new outdoor vibe.